Daniel de Lisle was born in Bellvue W.A. and was promptly transplanted to Bellingham where he could put his roots down to grow. His father was an amateur flutist and like every born musician his first instrument was the first thing he could get his hands on, a flute. Daniel played flute from the age of seven through middle school, teaching himself how to read and play music as he went. Once Daniel got to the high school level band his new director didn't need another flutist but saw his potential and handed him a tuba to learn instead. After investing a year in the tuba and placing into the advanced band at Squalicum High School Daniel still wasn't allowed to play in the schools prodigious jazz program. Unfazed, he borrowed the school trombone and started teaching himself to play during the regular jazz band hours, a scathing 6:30 am. Near the end of his sophomore year he finally tested into the Jazz II band at third trombone and during his junior year he had fought his way through the ranks and was playing first seat in Squalicum's premier jazz ensemble. 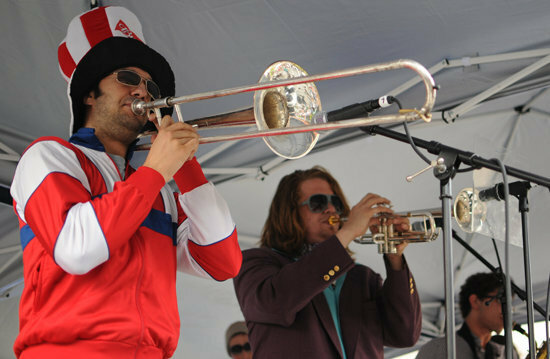 That same year he joined the Whatcom Community College Jazz Band where two years later, at the jubilant age of 18, he met Will Glazier who was looking for horn players for an up-and-coming funk project. Daniel was introduced to funk music, Snug Harbor, and Bellingham's local music scene in one fell swoop. Much like Neapolitan ice cream on a warm summer day, those three flavors have melted and swirled into a passion for the local funk scene which can be tasted for yourself at any live Snug Harbor performance.